After the asbestos laden end of life ship from US, now a asbestos laden end of life ship from UK is on the way to India. In the current session of the Indian parliament, 8 questions have been raised in the parliament making the concerned ministry to approach 29 govt agencies to prepapre its replies. Canada's Liberal Party now for Asbestos Export Ban. Michael Ignatieff, M.P., Liberal Party, Leader of the Official Opposition has confirmed this. 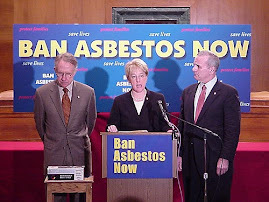 It has not been clear until now whether Michael Ignatieff's position to end asbestos mining and export was just his position and that of some Liberal MPs or whether it was the Liberal Party position. Marc Garneau, Ignatieff's new Quebec lieutenant, went to the town of Asbestos on February 23 and met with the asbestos industry lobby and told them face to face that this is the Liberal Party's position. The industry seems now to have accepted that they have lost the support of the federal Liberal Party and that this will not change. The Conservative Party is now the only national party supporting asbestos. Prime Minister Harper is refusing to listen to the clear scientific evidence and is showing a cynical and callous indifference to the lives of people in developing countries. Harper has promised that, if he is Prime Minister, he will sabotage the upcoming Rotterdam Convention conference in 2011 and prevent chrysotile asbestos from being listed as a hazardous substance, so that it can be sold in developing countries, without letting them know of its hazards. Office of Michael Ignatieff, M.P., Leader of the Official Opposition says, "Mr. Ignatieff has publicly stated the Liberal Party’s position on this issue. 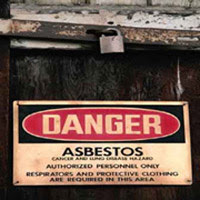 Scientists and the Government of Canada’s own health study have indicated that asbestos is dangerous to public health. The Liberal Party believes that the right thing to do is to begin transitioning out of the business of exporting asbestos. During this transition, our main concern must be for the people and communities involved in the industry. A transition program must be established to assist these communities and create new jobs." P.S:Amid growing awareness about the dangers of using Holi colours due to presence of chemicals, most people prefer to use dry colours made of flower petals or other herbals. The colours used now have many chemical ingredients that are hazardous to health. Beware of dry colours are made with asbestos and chalk powder, and silica. Alkaline-base is used in watercolours, which can cause serious eye diseases. Note: Asbestos is banned in some 50 countries because it causes incurable diseases. Incorporated in 1946, Hyderabad Industries Limited (HIL) is the flagship company of C. K. Birla group of company. Company’s manufacturing units are situated in Hyderabad, Faridabad, Jasidih, Dharuhera, Thimmapur, Vijayawada, Chennai, Thrissur, Wada, Sathariya and Balasore. HIL is the market leader in asbestos-based roofing industry under the brand name of “CHARMINAR”. Both the division of the company has performed exceptionally well. Building Products division is high margin business of the company, contributing 95% to sales in FY09. Revenues from Building products increased by 28% and Thermal Insulation Products increased by 29% on Y-o-Y basis in FY09. PBIT for Building products increased massively by 210%, however PBIT for thermal insulation product division declined by 2%. 27.43cr against Rs 16.58cr, largely on account of increased revenue of the company. Net profit for the quarter rose by an impressive 120.45% y-o-y basis to Rs 14.55cr as against Rs 6.6cr during the corresponding quarter last year. The current price of Rs 54 discounts the company's Q3 December 2009 annualized EPS of Rs 96.36, by a PE multiple of 6.18. Hyderabad industries is the market leader in asbestos based roofing industry with installed capacity of 764500 MT and market share of around 20.5% and is also largest manufacturer of calcium silicate, insulation blocks, pipe sections and jointing for gasketting. The cement products manufacturers, manufactures value-added utility building products like Fibre Cement Sheets, Autoclaved Aerated Cement Blocks, Aerocon Panels and Fibre Cement Boards. There are 17 major players in this industry with about 63 manufacturing unit. Everest industries, Hyderabad industries, Ramco industries and Visaka industries are the major domestic players. The efficiency of the companies in this sector is apprehended by the ability of the firm to source inputs at reasonable cost as well as the scale of operation. The cement product industry especially the asbestos cement manufacturers celebrates thrust given by the government on rural infrastructure – especially on rural housing through Indira Awaas Yojana which is a positive indicator because cement product sector derives sizeable portion of demand from rural housing sector and rest from industrial sheds. So the players with strong focus on rural segment like, Everest industries and strong brand s are better placed. Post monsoon the demand in northern market may continue to be strong driven mainly by the common wealth game related development activity. Union Budget 2009-10 has increased the excise duty incidence on cement products from 4% to 8%. But with speedy implementation of infrastructure and development projects, it will help Cement and Cement Product sectors industry to sustain its strong demand. Cement is the major input used by the industry especially the asbestos cement manufacturers. According to CMIE (Center For Monitoring Indian Economy) cement prices are expected to weaken in second half of 2009-10 as 35 million tonnes of fresh cement capacity will come on stream, which will put pressure on realizations of company. A total addition of 270,000 MT in the sheeting industry during the year along with 4.5% growth rate in sheeting industry has put pressure on pricing and sales volume. Chrysotile asbestos sheets which is one of the major raw material used in cement product industry is majorly imported from china and brazil, so depreciated Indian rupee will hit industry margins. Growth for Cement product industry depends on Real estate and construction and nfrastructure relted activity. With the initiatives made by the government in various infrastructure projects, road networks and housing facilities, coupled with the housing sector boom and urban and rural development, high growth in the cement product industry is expected in forthcoming years. Fibre cement sheets are gaining popularity because of their strong physical properties as compared other roofing materials. The fiber cement industry is estimated to grow at 5% for financial year 2009-10. Asbestos cement industry is growing at 10-12%. Industry was relatively untouched by global turmoil but industry may find it difficult to survive with campaigns against asbestos products. If asbestos loses out then companies with diversified product portfolio with be able to outperform. Cement is a necessary component of infrastructure development and a basic raw material for the construction industry. The total utilization of cement in a year is used as an indicator of economic growth. India is the world's second largest producer of cement after China, with cement companies adding nearly eight million tonnes (MT) capacity in April 2009, taking the total installed capacity to 219 MT. HIL outperformed fibre cement sheet industry with 7% growth as compared to 4.5% growth of industry. Company is making continous efforts to increase production capacity of of existing plants so as to retain significant share in the market. With the growing demand for thermal insulation products, company is assessing development of new applicatons and strategic acquisition to increase market size. New units at Balasore & Vijaywada for fibre cement sheets and Surat for AAC plants getting streamlined will improve margins of comapny. Production and sales (quantity) of thermal insulation products have increased by 19% and 21% to 4616 MT and 2728 MT respectively for FY 2009. With the success of Green Building products and sucessful expansion taken by the company we expect further growth in this product line. This publication has been solely prepared for the information purpose and does not constitute a solicitation to any person to buy or sell a security. While the information contained therein has been obtained from sources believed reliable investors are advised to satisfy themselves before making any investments. Fairwealth Securities Pvt Ltd does not bear any responsibility for authentication of the information contained in the reports and consequently is not liable for any decision taken based on the same. Further Fairwealth Research report only provides information updates and analysis. All opinions for buying and selling are available to investors when they are registered clients Of Fairwealth Investment advisory services. As a matter of practice, Fairwealth refrains from publishing any individual names with its reports. As per SEBI requirements it is stated that, Fairwealth securities Pvt Ltd, and/or individuals thereof may have positions in securities referred herein and may make purchases or sale while this report is in circulation. Trade unions, human rights activists and workers demonstrated in front of FICCI House in New Delhi on 5 Feberuary and called upon the governments of India and Canada to halt the trade in white asbestos. They urged them to invest instead in addressing the occupational and safety concerns of workers and consumers using asbestos and ensuring compensation to all harmed by asbestos. The demonstration was organised by AICCTU, AITUC, TUCC, NTUI and BANI to bring the issue to the attention to the Canadian leader Jean Charest currently visiting India. A joint letter was also sent to Indian Prime Minister Dr. Manmohan Singh by several trade unions and NGOs calling upon him to immediately Ban Asbestos and to ensure passage of the White Asbestos (Ban on Use and Import) Bill 2009 pending in Parliament. In a press conference today, activists and labour union leaders alleged that the powerful asbestos industry was intimidating and silencing workers, doctors, scientists and activists from articulating the facts about the deadly effects of asbestos. They said that medical experts and scientists all over the world have been warning of the health effects of asbestos usage but governments of India and Canada are ignoring such warnings. Trade union leaders and human rights activists also sent a message to Quebec's Premier Mr. Charest to stop shipping chrysotile asbestos to India when his own government was spending millions of dollars to remove chrysotile asbestos from Quebec's schools, hospitals and buildings. Mr. Charest was exhorted to listen to the world's leading, authoritative scientific institutions and experts who are asking him to stop exporting asbestos. The speakers appealed to Mr Charest to respect Canada's respectable human rights record and to put people over profit and disclose the truth about chrysotile asbestos with India. An appeal was also made to Dr. Manmohan Singh to face the truth that Quebec's public health tragedy was being exported to India even as chrysotile asbestos was banned there. The activists alleged that with declining use for asbestos in developed countries, asbestos trade is being shifted toward developing countries. The speakers at the demonstration claimed that a powerful message was sent out that developing countries can not be turned into global dumping grounds through transfer of hazardous industries and hazardous waste without regard for the human and environmental rights. Few workers afflicted with asbestos related diseases claimed in the press conference that they were sufferings from the incurable illnesses with no legal and medical remedy in sight. The Press Conference was co-organised by Building and Wood Workers' International, Delhi Asangathit Nirman Mazdoor Union, New Trade Union Initiative, Occupational & Environmental Health Network of India and Ban Asbestos Network of India (BANI). Trade unions, human rights activists and workers today demonstrated in front of FICCI House and called upon the governments of India and Canada to halt the trade in white asbestos. They urged them to invest instead in addressing the occupational and safety concerns of workers and consumers using asbestos and ensuring compensation to all harmed by asbestos. A joint letter was also sent to Dr. Manmohan Singh by AICCTU, AITUC, TUCC, NTUI and BANI calling upon him to immediately Ban Asbestos and ensure passage of the White Asbestos (Ban on Use and Import) Bill 2009 pending in Parliament. At the press conference today speakers from several organisations called upon Dr. Manmohan Singh, Prime Minister of India and Mr. Charest visiting premier (chief minister) of Quebec to stand up to the powerful asbestos industry in both countries which is spending millions of dollars to intimidate and silence workers, doctors, scientists and activists from articulating a truth that has been gathered over 300 years by medical experts and scientists, namely – that asbestos kills! 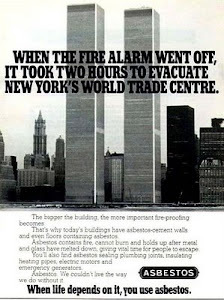 There is no safe use of asbestos! Trade unions and human rights activists sent a message to Mr. Charest to stop shipping chrysotile asbestos to India when his own government is spending millions of dollars to remove chrysotile asbestos from Quebec's schools, hospitals and buildings. Quebec’s own health experts have told Mr. Charest that the evidence is undeniable that it is impossible to manage chrysotile asbestos safely. Mr. Charest was exhorted to listen to the world's leading, authoritative scientific institutions and experts who are asking him to stop exporting asbestos. The speakers appealed to Mr Charest to respect Canada’s tremendous human rights record and put people over profit and tell the truth about chrysotile asbestos. He is on a trade mission promoting education & science and accompanied by Quebec university presidents. Therefore they should speak up to defend scientific freedom of speech! Trade unions and human rights activists urged Dr. Manmohan Singh to face the truth that Quebec is exporting its public health tragedy to India even as it has stopped use of chrysotile asbestos in its own country. The Indian government should recognise that in face of declining use for asbestos in developed countries, corporate greed has forced a shift in asbestos trade toward developing countries. Today a powerful message was sent out that our countries can not be turned into global dumping grounds through transfer of hazardous industries and hazardous waste without regard for the labour-, human- and environmental rights. • Ban mining, manufacture, use and trade of asbestos in India and Canada. • Revise their stand and support the listing of chrysotile asbestos in the PIC list of the Rotterdam Convention. • Ratify the ILO Convention on Asbestos. • Close all asbestos mines and take concrete steps to address the occupational and safety concerns of workers employed in asbestos related industries; ensure compensation for workers harmed by asbestos and support a just transition for workers losing employment due to a ban on the mining, use in manufacture, and trade in asbestos. At the conference victims of asbestos diseases narrated their sufferings from the incurable and fatal illnesses who are dying a slow death with no legal and medical remedy in sight. The Press Conference was co-organised by Building and Wood Workers’ International, Delhi Asangathit Nirman Mazdoor Union, New Trade Union Initiative, Occupational & Environmental Health Network of India and Ban Asbestos Network of India (BANI). Contact: D. Thankappan (New Trade Union Initiative), 011-26214538; Rajiv Dimri (All India Central Council of Trade Unions), 9968125770; Anup Srivastava (Building and Wood Workers’ International), 9810238394; Gopal Krishna, Ban Asbestos Network of India (BANI), 9818089660, Mohit Gupta, Occupational & Environmental Health Network of India, 9811369045, Amjad Hassan (Delhi Asangathit Nirman Mazdoor Union), 9868157860. This is to invite you to a press conference and a demonstration to expose Quebec’s dual standards in exporting toxic asbestos to India in the backdrop of the ongoing visit by Quebec's Premier Mr Charest for a trade mission to India. Over 100 scientists from 28 countries have sent a letter to Mr Charest on January 28, 2010 saying “Quebec itself is experiencing an appalling epidemic of asbestos-related disease… and yet it is exporting asbestos to developing countries where there are far less protections than in Quebec. This is simply indefensible." In his response to the media, on 29th January, Mr Charest has said that he will pay ‘no attention’ to the letter by the scientists. Attempts by trade unions and workers in Mumbai and Delhi to meet with Mr Charest on 1st and 5th February, respectively has not been successful. Trade unions and voluntary organisations from India have sent letters to him which remains unresponded. 2. Press Conference by trade unions/environmental and health activist: Time: 3-6 pm. Venue: Press Club of India, Raisina Road New Delhi 110 001. We are writing to you in light of the visit of Mr. Charest, Premier of Quebec to India with a 130 member trade delegation. As you are aware Quebec has a long and deplorable history of promoting asbestos exports to India even as it has banned the use of asbestos in Quebec itself (Ref. Annexure 1 - Letter written to Mr. Charest by scientists of 28 countries on the eve of his visit to India). Make India Asbestos Free – It kills ! In a major land deal in the city, asbestos products maker Hindustan Composites announced, on Monday, that it would sell its 18-acre property on LBS Marg, Ghatkopar to the Mumbai-based Wadhwa Group for Rs571 crore. Including the stamp duty, the value of the land is expected to go up to Rs600 crore with the land rate roughly working out to be Rs4,000 per square feet. Vijay Wadhwa, chairman, Wadhwa Group said that they have taken a loan of approximately Rs300 crore from IndiaBulls Financial Services Ltd and raised the balance Rs271 crore by way of sales and discounting a few of properties they had leased. Realty experts said the deal would provide Wadhwa with the much needed confidence. Coupled with global slowdown, the group had over-stretched itself after it had successfully bid Rs831 crore for a plot at Bandra Kurla Complex in 2007. Many funds like Morgan Stanley had refused to back Wadhwa in the Composites land deal as they did not agree to the costing and profits projected by the developer. The developer has plans to set up at least 15 residential buildings with over 1,100 apartments on land, which has a development potential of about 15 lakh square feet. Also, this development potential could go up substantially if Wadhwa takes advantage of the government’s parking FSI of 4. "Asbestos" is name given to a group of naturally occurring metamorphic minerals that are distinguished by their crystalline structures. There are three types of asbestos – Chrysotile (white asbestos); Crocidolite (blue asbestos) and amosite (brown asbestos). The Chrysotile is the most commonly used. Breathing air containing asbestos dust causes fatal lung diseases. There is usually a long delay between exposure to asbestos dust and the onset of the disease; this can be between 10 and 50 years. The more you are exposed to asbestos, the more chance you will get sick later on. Diseases caused due to Asbestos exposure include – Asbestosis, Mesothelioma, Pleural Thickening and Lung Cancer. Both workers and consumers are at risk, therefore use of all forms of asbestos products must be stopped with immediate effect. An unprecedented environmental and occupational health crisis with regard to unnoticed asbestos epidemic in our country is on the horizon. It is high time concerned authorities took note of exposures of workers installing and maintaining asbestos-cement pipe and asbestos cement roof, which is quite high. 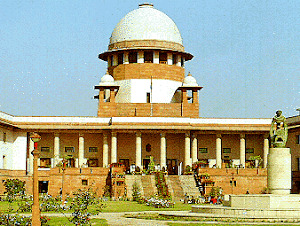 The Supreme Court of India has ruled that the Government of India must comply with ILO resolutions, so far the ILO resolution (June 14, 2006) stating “the elimination of the future use of asbestos and the identification and proper management of asbestos currently in place are the most effective means to protect workers from asbestos exposures and to prevent future asbestos-related disease and deaths” has not been acted upon. Supreme Court has ordered that the industrial units must maintain a health record of every worker up to a minimum period of 40 years; insure workers under the Employees State Insurance Act or Workmen's Compensation Act; or give health coverage to every worker. This has been disregarded. Some 50 countries besides International Labour Organisation, World Health Organisation, World Trade Organisation & others have realized that “safe and controlled use” of asbestos is not possible and consequently have banned asbestos because of the incurable but preventable cancer caused by this killer fiber. Take steps to ensure that there is no more exposures to killer fibers of asbestos from now on. This can be done only by making India asbestos free. Note:One in every 5 workers is affected by asbestos-caused disease. Note: In the backdrop of the visit by the Quebec's Chief Minister (Premier), a Press Conference was held at Mumbai Patrakar Sangh, Azad Maidan, Mumbai on 1st February, 2010. It was attended by both Indian and Canadian journalists. Victims of asbestos were also present at the conference. Quebec Chief Minister (Premier) Jean Charest, arrived in India on 31st January, is being pressed by environmental activists to stop mining and exporting asbestos. Public health and environmental groups have plans to protest against him. Over 100 scientists from 28 countries have already appealed to Charest to acknowledge the dangers of asbestos and stop exporting it to developing countries. Quebec’s own public health experts, prominent health experts across Canada, as well as the Canadian Medical Association, have all called for an end to use and export of asbestos, the scientists point out. The province is experiencing an appalling epidemic of asbestos-related disease. Official data shows 134 new cases of mesothelioma reported in Quebec. Exposure to asbestos is the single biggest cause of worker death. Figures for 2009 from the Quebec Workers’ Compensation Board show 60% of occupational deaths were caused by asbestos. In 2007, facing high numbers of cases of asbestosis, the government’s health authorities set up a special program, using a mobile x-ray clinic to travel around the province and give chest x-rays to construction workers, in an endeavour to identify and aid workers with signs of asbestosis. Virtually all Quebec’s asbestos is exported to developing countries, where protections are few and awareness of the hazards of asbestos almost non-existent.Quebec itself does not use chrysotile asbestos because of strong public opposition. According to a spokesperson for Quebec’s Occupational Health & Safety Commission (CSST), the government of Quebec has adopted a "zero tolerance" policy for exposure to asbestos. "We applaud your government for seeking thus to protect Quebec workers from asbestos harm. We call on you to show equal concern for the lives of workers in the developing world," the scientists said. Referring to instances of intimidation of public health experts by the asbestos industry, the scientists appealed to Mr. Charest not to succumb to the lobby but protect the interests of the people at large. 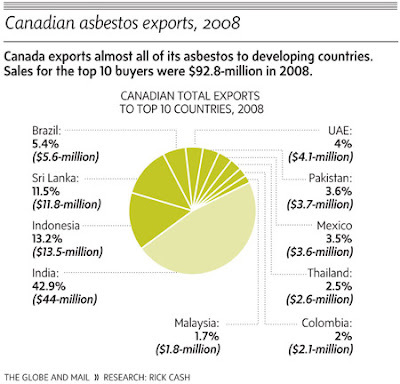 1997, Canada exported 430,000 tonnes of asbestos - more than 96% of production - most of it to the developing world. Canada is the world's second-largest exporter of asbestos after Russia. Critics of Canada's asbestos exports say the country is exporting death to protect the profits of a handful of companies and the jobs of 1,600 miners. "What's the difference between land mines and asbestos?" 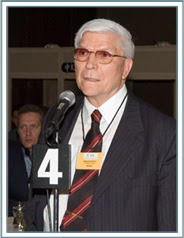 asks Dr. Barry Castleman, author of a respected book on the danger of asbestos. "A key difference, of course, is that Canada doesn't export land mines." All of the asbestos mines in Canada are in Quebec, a predominantly French-speaking province with a separatist government. Federal and provincial politicians are pushing asbestos exports to prove that they are successful at developing overseas markets, and are protective of Quebec workers. Critics of asbestos exports say the industry would probably be allowed to die if it had been centred in any other part of the country. "Personally, I believe this is all about Quebec politics," says Canadian Auto Workers Health and Safety director Cathy Walker. "The Canadian and Quebec governments are competing with one another to show just how prepared they all are to protect Quebec jobs." The real costs will be borne by the developing world, she says. Walker just returned from India, where she saw unprotected workers slashing open bags of asbestos fibres. In places where the asbestos was being mixed into cement, clouds of the carcinogenic fibres swirled around workers. In 2008, Canada exported 175,000 tonnes of chrysotile - almost all of it to developing nations like India, Bangladesh and Indonesia. Industry critics have declared that safety precautions are rarely enforced in those countries. In Britain, the Cancer Research Campaign said in January that its study into the European asbestos-linked cancer epidemic should sound alarm bells everywhere, "particularly in the developing world where uncontrolled asbestos is still very common," said CRC director Gordon McVie. Philip Landrigan, of New York's Mount Sinai School of Medicine - the centre that first linked cancer to asbestos in the 1960s - says the asbestos lobby's claim that the fibre is safe is "absolutely untrue." "Asbestos remains an important cause of human illness," says Landrigan. "All forms of asbestos are carcinogenic, and that includes Canadian chrysotile."